Savannah, Georgia has been making strides in the music industry as of late with the emergence of artists like Quando Rondo, Flau'jae, Duwap Kaine, & Clay James. Now we have new comer Top Boy Mari making a push that will undoubtedly put him in the forefront of Savannah's elite new roster of flourishing talent. 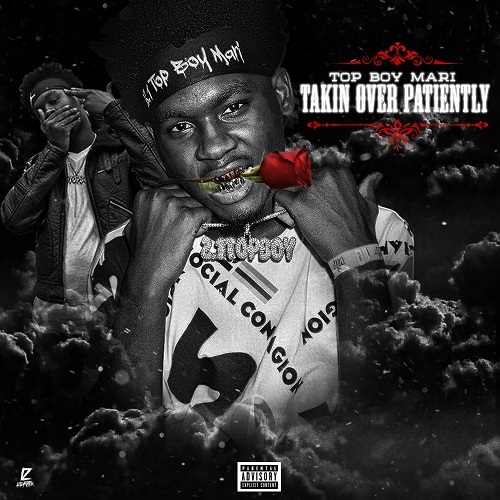 Mari's highly anticipated project "Takin Over Patiently" has been garnering a buzz around the "C-PORT" for quite some time and is finally available on all digital platforms today. This project includes production from King Drum Dummie, Speaker Bangerz, Pluto Brazy, TnTXD, & more. He has guest appearances from two more of Savannah's rising stars Capstreet Hershey & Pooda Robin. As well as a feature from one of Gucci Mane's new artists, Yung Mal. Top Boy Mari has a unique, catchy, & animated sound that will keep him around for a long time. He's definitely an "artist to watch" in 2019.